If you have an e-cigarette with an atomizer then you most likely know that this is what does all of the work when you use your device. That is why you really need to make sure that it is working properly. There are some tips that you should follow to keep it up to speed. 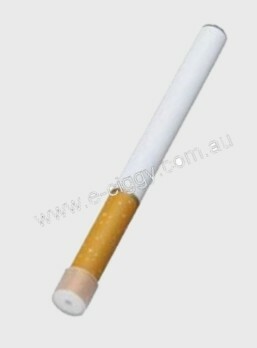 Doing so will ensure that your e-cig continues to work the way that you want it to. You should never allow the cartridges to run out. If you do, you could damage the atomizer. Therefore, it is always best to make sure that you are replacing them with new ones before they are empty. You do not want the atomizer to overheat because it will become damaged and you will need to replace it. Those individuals that have to add e-liquid to their device should never ever put the liquid inside of the atomizer. If you are not sure how to refill it then take the time to learn. It only takes one mistake to completely damage the atomizer and then you will have to purchase a new one. Read the instructions on how to refill a cartomizer. Take note of where you are storing your e-cig. Most people do not think about this but it really is important. Try not to store the device in any location that is in direct contact with any metals such as coins or keys. These metal objects can actually cause the battery to turn the atomizer on. When this happens you could run the risk of the atomizer overheating. We sell carrying cases. It is highly recommended that you purchase one of these and use it so that you know your device is always safe. Keep in mind that this device is electronic. Just like other electronic devices you have, dropping it can cause it to break. So, you should never drop your e-cigarette. The components inside of it could become damaged and then it would not work properly. You could end up replacing the entire thing rather than just the atomizer. Try to make sure that you are purchasing your e-liquid from our online shop. This is important because, depending on where you purchase your e-liquid, some of the liquids can cause the atomizer to work improperly. Some of them can actually decrease the length of time your atomizer will last. Finally, take the time to clean the atomizer when it needs to be cleaned. You will notice that the device may not be producing vapour the way that you want it to. When that happens you should check the battery life. 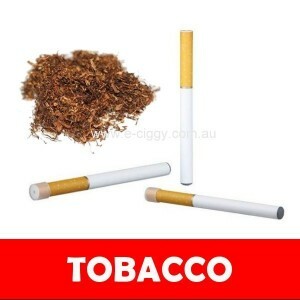 If you have done that, and it is fully charged, then you have to clean the atomizer. Be sure that you are not submerging it in water. A slightly damp cloth will work just fine. You can even use a q-tip to get the smaller areas if needed. Comment : I have purchased this disposable a few times for me and for my friends I highly recommend it! Comment : I've had a great run with mine. Easy to use and maintain. Rating(s) and review(s) : Tobacco - Reviewed by : Simon W - Rating 5 / 5 - I have purchased this disposable a few times for me and for my friends I highly recommend it!